Bob Pearlman has been a key leader in the design, development, and implementation of 21st Century schools. He is currently a strategy consultant for 21st Century school and district development, a Senior Education Consultant for Fielding Nair International, and Senior Education Consultant to the UNITE-LA, the youth and workforce affiliate of the Los Angeles Area Chamber of Commerce. Bob served from 2002-2009 as the Director of Strategic Planning for the New Technology Foundation (now the New Tech Network) in Napa, CA, a school development organization. In this role he worked with communities in 9 states to launch 50 new 21st Century Secondary Schools based on the New Technology 21st Century High School model. Bob consults and speaks widely in the US and the UK on 21st Century Learning. As the former National Consultant on Educational Technology for the American Federation of Teachers and as a co-founder of the Co-NECT School New American School Design Team, Pearlman has been a pioneer in designing new schools, integrating project-based learning, work-based learning, and technology into the schools, and in training teachers, administrators, and parents in the application of new technologies and their role in restructuring schools. Bob is the author of many articles on 21st Century Learning, including Designing New Learning Environments to Support 21st Century Skills, Making 21st Century Schools, (Educational Technology, September-October 2009), "New Skills For A New Century" (Edutopia, June 2006), and "21st Century Learning in Schools � A Case Study of New Technology High School in Napa, CA", (published in New Directions for Youth Development, Summer 2006 Special Issue: The Case for Twenty-First Century Learning). Bob has had a unique 40-year career as a teacher, Co-Director of Computer Education, teacher union leader and negotiator, Foundation President, Director of Education and Workforce Development, and Director of Strategic Planning for the nation's largest network of innovative 21st Century schools. Bob's experience and expertise includes New School Development, Whole District Reform, Business-Education Partnerships and coalitions, School-to-Career and Workforce Development, Union-School District Negotiations, School Restructuring and Technology, Project-Based Learning, Professional Development, Educational Finance, and School-site Assessment and Accountability. Bob is the former President of the Autodesk Foundation (1996-2000), former Director of Education and Workforce Development at Joint Venture: Silicon Valley Network, and former Coordinator of Educational Reform Initiatives for the Boston Teachers Union. 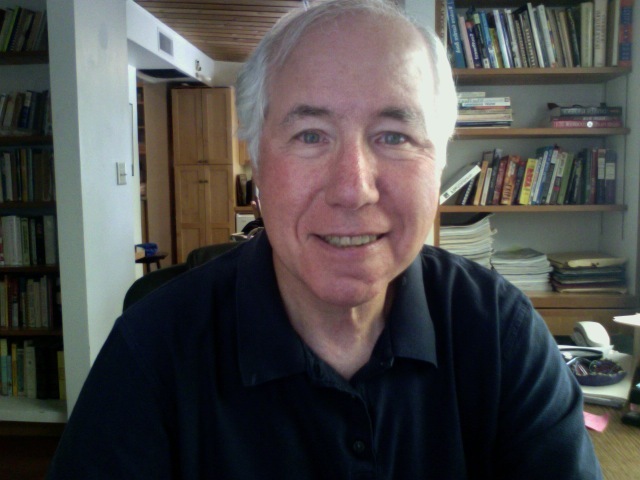 Bob's website at http://www.bobpearlman.org shares best practices and strategies in school reform and innovation including new school design, 21st Century Learning, Project-Based Learning, and the appropriate application of technology to education. Bob Pearlman can be reached at bobpearlman@mindspring.com and 520-881-9965. Bob tweets about 21st Century learning and teaching at @bobpearlman. Bob's reflections on the origins of PBL in the US in the 1990s can be read in the 2015 Case Study, A Case History of CART and Project-Based Learning, By Bruce Cuthbertson and Sean O'Halloren, The IngenioMind Project, 2015. This case study examines the educational policy context in which the an innovative High School program, the Center for Advanced Research and Technology (CART) in Fresno, CA, arose in the late 1990s.